Mrs. Joyce Marie Smith Davenport, 82, of Greensboro, went home to be with her Savior on September 1, 2018. 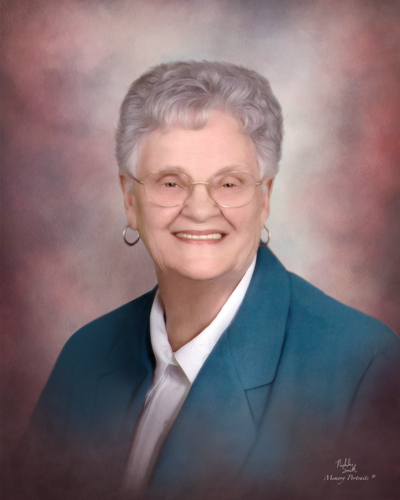 Joyce was born in 1936 in Guilford County, to the late Ralph and Irene Mehaffey Smith. She grew up in the White Oak Mill village, graduated from Rankin High School in 1954 and remained a lifelong resident of Greensboro. In addition to her parents, she was preceded in death by her sister, Audrey Snuggs. Mrs. Davenport is survived by her husband of 62 years, Richard Earl Davenport; her daughter, Susan McGirt (Jim); her son, Steve Davenport (Lori); her grandchildren, Andy Davenport and Bethany Davenport and numerous nieces and nephews. The family will receive friends 6-8:00pm Friday at Sharpe Road Baptist Church. Funeral services will be held 11:00am Saturday at Sharpe Road Baptist Church with Reverend John Malek and Dr. Alton Cook officiating. The burial will follow at Lakeview Memorial Park. In lieu of flowers, memorials may be directed to Sharpe Road Baptist Church, 1908 Sharpe Road, Greensboro, NC 27406 where she was a member for more than 50 years.